please find the link to the manual below. I need just black ink (XL) only for a HP CN245B inkjet printer? I don't have the original disc which set up my HP Photosmart CN245B Wireless printer. Can I reconnect online? Thank you, Jonathan. Unfortunately, we're unable to offer you technical support for your HP Photosmart CN245B Wireless e-All-in-One printer. Please refer to your HP CN245B printer manual for help with setting up a wireless connection. If you no longer have the manual please contact HP directly for technical support. 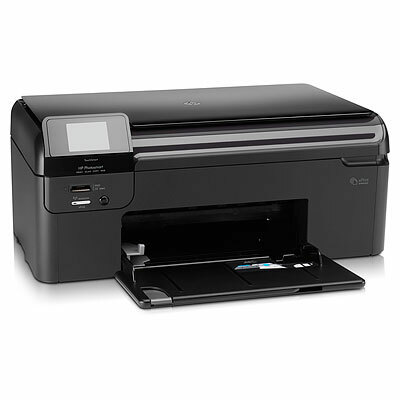 What cartridges does a HP CN245B Photosmart Wireless e-All-In-One use? Any of the cartridges listed on this page are compatible with the HP Photosmart CN245B Wireless e-All-In-One printer. This includes the HP 364 and HP 364XL range of ink cartridges. I'm having problems with the black ink cartridge. The one that came with my HP CN245B printer was an HP 364XL black ink cartridge. I went out and bought a HP 364XL black cartridge to replace it but when opened it was not as big as the one that came with the printer and did not fit! I ordered another, making sure it was an XL cartridge but it didn't fit again. I have a message coming up on the printer saying that I have a problem with the ink (black is missing). It's very frustrating as I use the printer a lot. I'm now quite wary of ordering another HP 364XL black ink cartridge as I need a wider cartridge. Please help? HP have recently changed the design of the 364XL black cartridge. Rather than being the wider cartridge this is now a slim version. However, as it is still a 364XL it is designed to fit into the slot where your previous (wider) black cartridge was installed. The new part number for the 364XL black cartridge is CN684EE. Please ensure that you have this and not the 364XL photo black cartridge which has a part number of CB317EE. The new slim cartridge fits directly into the centre of the slot. Designed for home use, the Photosmart CN245B Wireless e-All-In-One is a multi-use solution capable of wireless printing as well as high resolution scanning and copying. It features touch screen control for easy menu access and is compatible with a good range of downloadable web applets. Photosmart CN245B Wireless e-All-In-One is also equipped with HP's ePrint system for remote printing. Disappointingly, it does not have duplex printing capabilities. With its sleek black finish, the Photosmart CN245B Wireless e-All-In-One is an attractive addition to your home office set-up. It features a silver framed (iPhone look-a-like) touch pad panel and an angled tray on the front. The touch pad measures 89mm and features dedicated touch buttons (3 on both sides) that light up when the designated function is on use. There is a dual card slot to the left of the well configured paper trays. The Photosmart CN245B Wireless e-All-In-One boasts a remote access facility through ePrint, which means you can print from anywhere through your WPS setup. Installation and setup is painless, and quick printing and scanning are guaranteed. The Photosmart CN245B Wireless e-All-In-One boasts intense colour graphics. Inks for the Photosmart CN245B Wireless e-All-In-One are on the expensive side. This machine could have been made better with the addition of faxing and duplex printing capabilities.